Building a broad based network to oppose euthanasia & assisted suicide worldwide. 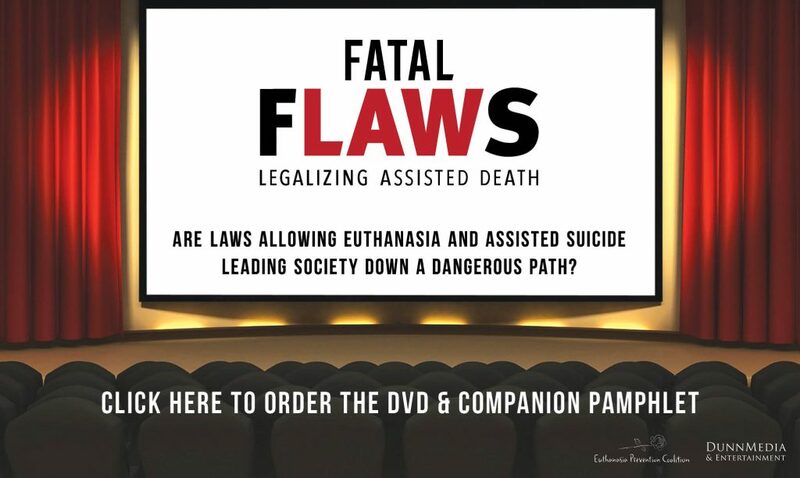 Over the past few months I have been incredibly busy speaking in communities, screening Fatal Flaws: Legalizing Assisted Death, working on court cases and fighting euthanasia and assisted suicide bills in the United States and other countries. Great news! The EPC New Mexico conference (Jan 2019) helped defeat the radical assisted suicide bill in that state. We informed and motivated a group of people to oppose the assisted suicide bill. The local leaders focused on the talking points while people met with their elected representatives. This was a successful campaign to defeat assisted suicide. More great news! Assisted suicide bills in Maryland and Connecticut were defeated. The assisted suicide lobby had paid lobbyists to get these bills passed, and in both states local organizers were able to convince key legislators to oppose the bills. In Connecticut, the disability rights group Second Thoughts effectively campaigned to defeat the assisted suicide bill while several physicians were central to defeating the bill in Maryland. Finally, the bill to reverse assisted suicide in Montana passed in the House and has significant momentum in the Senate. Now some bad news: the assisted suicide bill passed in New Jersey. New Jersey appeared poised to legalize assisted suicide in 2015 until former Governor Chris Christie met with EPC-USA Chair Nancy Elliott and announced that he would veto the bill. The issue is not over in New Jersey. Fatal Flaws continues to be screened in communities throughout North America. The film recently received an award at the Winnipeg Real to Reel Film Festival. We are pleased to announce that it has also been recognized at film festivals in California, Florida and Delaware. EPC has sold more than 2000 Fatal Flaws DVDs. The re-edited educational version (56 minutes) is designed for classroom use and is very popular based on its length and emotional appeal. Order the educational version today. The Euthanasia Deception documentary released in September 2016 continues to be ordered. We have sold almost 4000 DVDs and hundreds of online downloads. For a limited time, EPC is offering a link to watch The Euthanasia Deception online. The link will be sent to anyone who makes a donation to the Euthanasia Prevention Coalition. It will enable you to share this powerful resource with classrooms and community groups, or with people who want to learn more about euthanasia or are open to changing their mind. Recently I made a presentation at an international conference in Verona, Italy. Attendees from various countries told me that the information I publish on the internet (www.epcblog.org) enables them to oppose euthanasia in their country. Leaders from Croatia and Malawi asked me to come to their countries to help them fight assisted suicide. We are making a difference. Please continue donating to our life saving work. P.S. Monthly donors are the life-blood of our organization. Please consider becoming a monthly/regular donor.